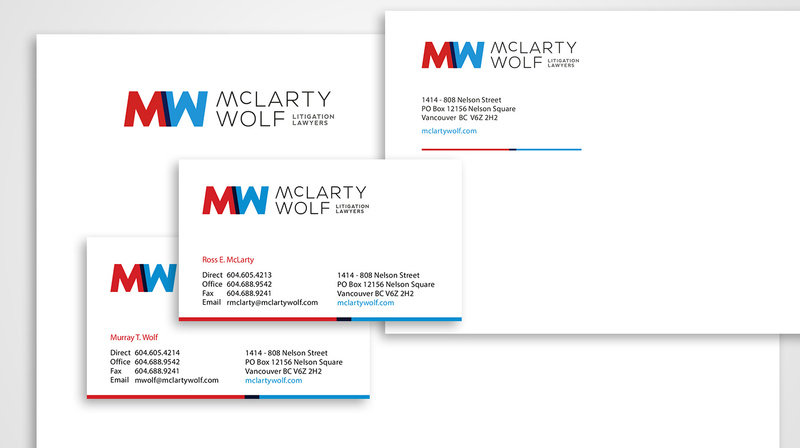 McLarty Wolf is a downtown Vancouver boutique litigation firm. 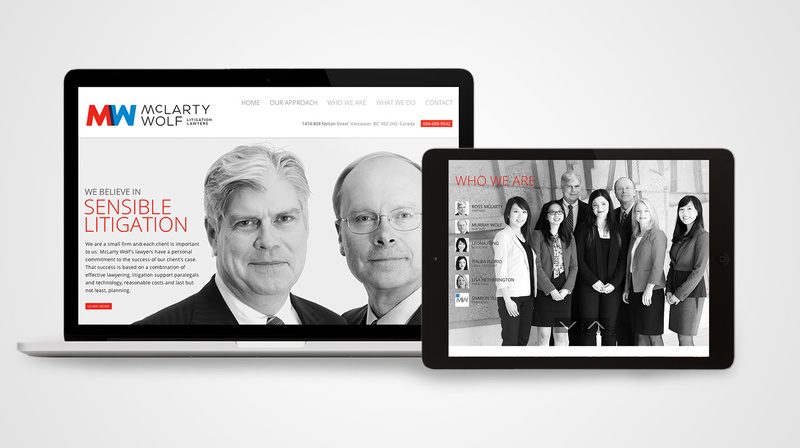 As with many smaller firms, McLarty Wolf’s prior brand and website had aged well beyond their best before date, and no longer came close to accurately representing the high standard of work the firm was known for within the legal community. Recognizing that their website had become a liability rather than an asset, the firm engaged Skunkworks to help them work through the internal process of defining what the firm stood for, and then building a new brand identity and web presence that accurately projected their authentic personality to the public. Skunkworks conducted interviews and surveys with the firms lawyers and staff, and helped the firm’s leadership identity the key attributes that stood at the heart of the firm’s operating philosophy. What emerged from our brand strategy sessions was a picture of a firm with a keen eye for efficiency and practicality in all of its workings – from a commitment to litigation planning and budgeting on every file, maintaining very strong lines of client communication, operating their offices immediately adjacent to the courthouse, to the efficient use of sophisticated litigation technology tools and software, the firm had a very “no-nonsense” approach in all respects. We felt this sense of proportionality and efficiency formed an excellent foundation for the brand, and would be well-received by a general public that increasingly views the legal system as too slow, too expensive and too inefficient. We then conceived the tagline “Sensible Litigation” as the catchphrase that accurately captured what McLarty Wolf is all about. From there, we developed an updated logo and collateral package with a clean, modern look, and a new website that made strong use of large format original black and white photography of the firm’s lawyers and staff, to reinforce that this is an approachable firm with real people who are prepared to help their clients solve legal challenges in an efficient, practical way. Sensible litigation indeed.